Run through an outdoor art museum! You can run or walk amidst 15 different works of art including sculptures, murals and horticulture along the scenic Bushkill Creek. Join us for your first 5k, to try to set a new PR or to check out the art. This first-time event is walker friendly, stroller friendly and dog-friendly! Awards will be given to the 1st, 2nd and 3rd place in male and female and the 1st place finisher by age group: Registration through Sept. 30 is $25; Oct. 1-10, $30. Race Day sign up $35. Sign up by Oct. 7 to guarantee a race-day shirt! 19 & Under; 20-29; 30-39; 40-49; 50-59; 60+. Registration at Packet Pick-Up Tables is $35, T-Shirts not guaranteed. 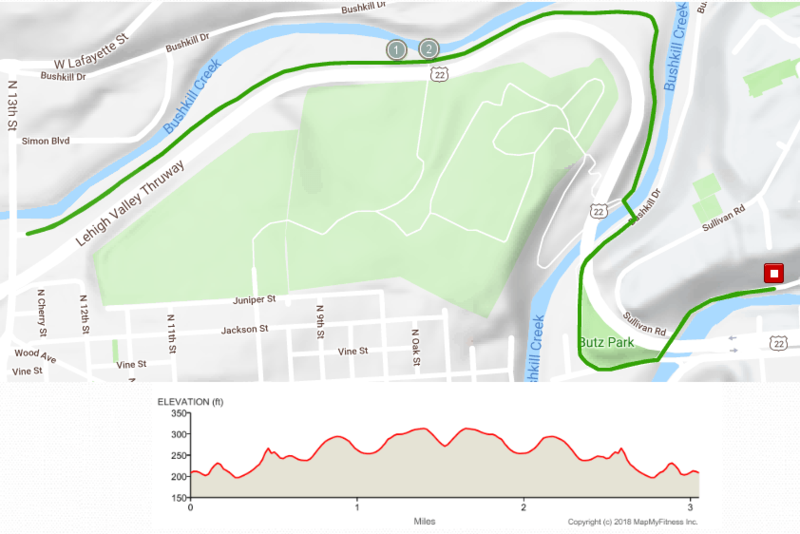 Race Day Pick-Up: Sunday, Oct. 14; 7:00-8:30 a.m.
19 and under, 20-29, 30-39, 40-49, 50-59 and 60+. Consider becoming a sponsor of the race to support this grassroots, community-based 501c3 non-profit organization dedicated to leveraging the KSAT to advance civic dialogue, infuse the community with creative capital, bolster economic revitalization and foster civic and cultural pride.